Join the conversation as we talk with Dr. Ashley about how each one of us can live MORE - and make sure you listen to the whole episode, so you don't miss any of the fabulous tips and insight! 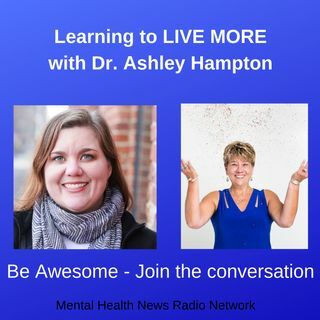 Dr. Ashley Hampton is a Licensed Psychologist and Entrepreneurial Coach, best-selling author, speaker, and host of the Work Smarter Live More podcast. She has been featured in O Magazine, Forbes, Inc, and Fast Company. As an Entrepreneurial Coach, she guides female entrepreneurs to build efficient ... See More and sustainable businesses using her proven systems and strategies.